At Ernest Bevin College we hold regular STEM Days to encourage children to take part in STEM activities. 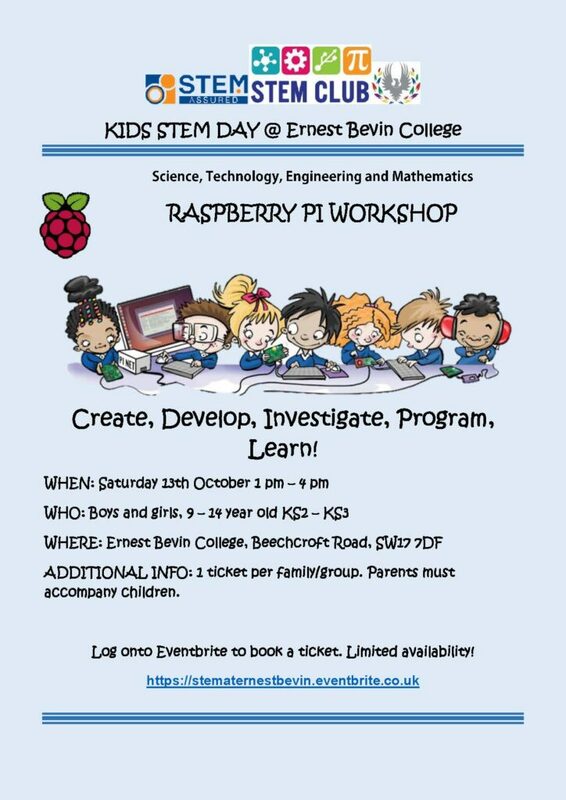 See below for information about our next Kids STEM Day on Saturday 13th October from 1-4pm. For KS2-3 children (aged 9-14 years). Parents must accompany their child.